Laser printers are no different than any other device, and despite the most careful use and maintenance, the best of the best of them will have their share of performance issues. 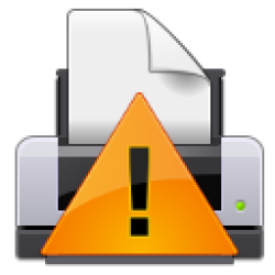 Here are just a few of the most common problems people encounter with their laser printers. While the general advice and troubleshooting suggested will usually be on target, it is always a smart move to check the user manuals or go online to the manufacturer’s website for detailed steps for your laser printer’s particular make and model. If your printer toner is not sticking to the paper, this is usually either due to an old fuser assembly or defective toner cartridge. Before you rush to just replace your toner cartridge, try first just to remove it and carefully move it side to side (not a hard shake) and then put it back inside the printer to see if that fixes the problem. If that doesn’t resolve it, then a wise next step is to put a fresh toner in there and start the printing over. Primary causes include grime, dust, worn rollers, or using the incorrect paper weight. The most basic way to prevent paper jams is simply through regular cleaning of your printer and replacing parts as needed. Check the weight of paper that your printer is rated for as well. This scenario is generally caused by low toner, print density settings, or some other printer setting error. Make sure your printer isn’t set to an ink-saving or “draft” mode. These steps may seem obvious, but seriously — verify that you actually sent the print job to the right printer; you may very well be printing dozens of documents in the next department or to some virtual printer or document imaging software. And if that was the problem, then check your printer setting on your desktop to ensure your main printer is set as your default. Next possibility, check that there’s enough (and the correct type) of paper in the tray. While you’re at it, double check that your printer is on (it’s possible someone else accidentally turned it off at some point or the IT dept did some type of system update that shut down the printer and never brought it back online. When in doubt and if all else fails – REBOOT. Begin by restarting your software application. If that doesn’t work, reboot your computer. Lastly, turn off your printer for a few minutes before powering it back up. if your document is displaying a different font than what you formatted, the problem could simply be a communication error, and it’s worth the time to first just go back and reprint. If the incorrect font prints again, then it’s time to dig deeper. Check that the most updated drivers are installed and ensure the software on the computer and the printer are compatible with the selected fonts. Have a look in the paper tray to see if the paper is properly aligned inside the paper guides and tabs. If it’s just a little off, the results on the way out of the printer can be very problematic! Sorry to say, these warning messages and errors are really not reliable. Even after putting in a brand new toner cartridge, many printers will continue flashing and beeping at you to indicate you need to replace the toner. There is always a slight chance the cartridge itself is damaged or defective, but in most scenarios, just resetting your printer should easily fix this most annoying situation. Just do a search for the reset instructions for your specific printer model and follow along. Did you buy the wrong toner? Not to worry, you can always sell your unused toner cartridges to Cash4Toners. Whether or not you have an IT department or technical ‘go-to’ person for your office equipment issues, when it comes to laser printers, it’s often not rocket science and no special training required to resolve plenty of the frequently occurring problems on your own.